The greatest obstacle for small companies is fear of not getting paid. There are tools to lessen this problem, but many companies don’t know that there is low-cost help available and where to find these resources. Ruth J. Morrison, Founder, What’s The 411 Networks, a digital media company (http://www.whatsthe411.com), took a short detour from technology to speak about one of her passions, global trade for small businesses. Recently, Ms. Morrison presented at the International Trade Seminar - Access & Opportunities in International Markets at the New York State Association of Black & Puerto Rican Legislative Conference in Albany, NY. Ms. Morrison’s discussion, International Trade Reality Check: What SMEs Should Consider Before Exporting, focused on the need to develop an export strategy, how to get market information, the importance of understanding cultural norms, export financing resources, necessary export partners, and more. One good reason for small U.S. companies to consider exporting is that exporting companies tend to be stronger companies, according to the U.S. Department of Commerce. 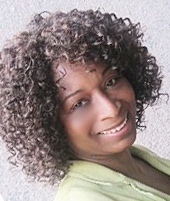 Ruth J. Morrison is the Founder of What’s The 411 Networks, a digital media/news, marketing, and entertainment company redefining entertainment news and lifestyle. Ms. Morrison is not one to color inside the lines. She is a person of firsts. Ms. Morrison was the first Executive Director of the Brooklyn International Trade Development Center, the first small business development center in New York City whose sole responsibility was to help small businesses export their products and services. Additionally, Ms. Morrison was the first African-American leased time producer to distribute a weekly television show on WNYC-TV; she also licensed that show to a broadcaster in South Africa. She was an entertainment consultant to an American company doing business in Brasil; the first African-American woman beat reporter to cover the NY Knicks and she became a video streaming pioneer in the mid-1990s. Ms. Morrison developed and launched from conception the City of New York’s multi-channel cable television network. Ms. Morrison was a Communications Fellow at the Annenberg Washington Program of Northwestern University; a Communications Director for a member of the U.S. Congress, and she earned a master's degree in Interactive Telecommunications from the prestigious Tisch School of the Arts at New York University. About the New York State Association of Black and Puerto Rican Legislators, Inc. The New York State Association of Black and Puerto Rican Legislators, Inc. (http://www.nysabprl.org/) was founded by legislative caucus members as a non-political, charitable organization, incorporated under section 402 of the New York Not-for-Profit Incorporation Law on October 11, 1985. The purpose of the NYSABPRL is to promote the common good, social and general welfare of the various people of the community; foster and maintain an interest in racial tolerance in the world; to encourage the development of the community and promote economic growth. The NYSABPRL was organized exclusively for charitable or educational purposes as specified by section 501-c-3 of the Internal Revenue code. The NYSABPRL does not advocate or support either directly or indirectly, the election or defeat of any candidate for public or political office. The NYSABPRL does not donate or contribute to any candidate’s campaign, nor does it participate or engage in political fundraising events, nor otherwise solicit contributions for candidates. The NYSABPRL endeavors to fulfill its purpose through its main activity, which is the Annual Conference Weekend, which is held during President’s Day Weekend, in February each year. The weekend conference is attended by thousands of New Yorkers, mostly African-American and Hispanic, yet inclusive enough to represent a diverse cross section of the state’s population. The site of the event is the State Capital, Albany, New York. The weekend events include: informational forums, lectures, business luncheons, award ceremonies, business expo, and craft fair, and culminates with the Grand Gala on Sunday evening; the gala is the NYSABPRL major fundraising source.